KD241P – KNOCK DOWN – FOOD PROCESSING PLANTS AND INSTITUTIONAL INSECT KILLER – KUUS Inc.
Professional Products - Not for retail sale. Please inquire. 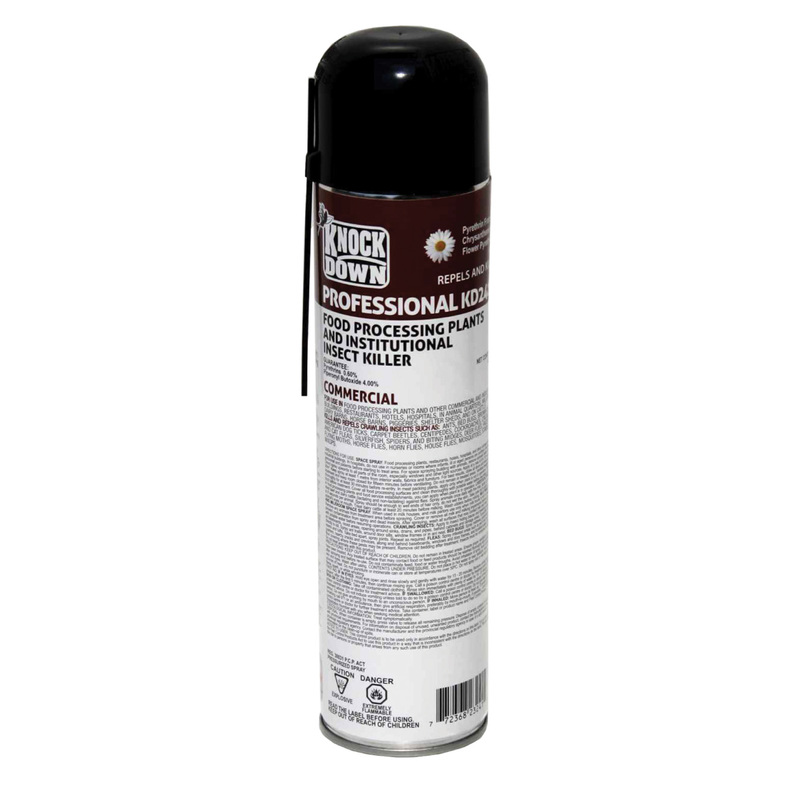 SKU: KD241P Categories: Knock Down, Professional Products - Not for retail sale. Please inquire. Pyrethrum is a botanical insecticide produced primarily in the flowers of Tanacetum Cinerariaefolium, a species of the chrysanthemum plant family. Pyrethrum has been used effectively to control insects for decades and is non-persistent, decomposing rapidly in the environment. This rapid degradation of pyrethrins makes it an excellent choice for control of agricultural pests. For use in food processing plants, and other commercial and industrial buildings, restaurants, hotels, hospitals, in animal quarters, milk rooms, dairy barns, horse barns, piggeries, shelter sheds and on cattle.